Trees are often called man’s best friends‘. They are extremely useful to man, and perhaps God’s most wonderful creations. In fact, man would not alive if there were no trees. Trees provide us with an abundance of fruits and vegetables of various kinds. Some plants provide lac, some gum, some resin. All these substances are useful to us in some way or the other way. Really trees are man’s best friend. Timber from wood is used for building houses and making furniture. The roots of some trees and barks of some others have medicinal properties. Trees like the neem can be used in some form or the other as pesticides, weedicides or fungicides. Many people still brush their teeth with neem twigs. The coconut palm, of course, is an all-rounder. There is no part of plant that is not useful to man. Hence it is known, here in India, as the ‘Kalpavruksha’ or the wish-yielding tree. We get woods from the them, and from that woods we make paper for studying, so they are all-rounder for us, as every part of the trees are useful for us. They provide shade. They make the atmosphere cool. They control the moisture level in the atmosphere and help prevent soil erosion. Place where there are no trees are extremely hot such as desert area. That’s why we suggest plant a crop (small plant) every day to keep the environment cool. They also provide us with our life line oxygen for breathing. If there were no trees on the earth we would eventually die just because of lack of oxygen. They are essential lungs of Earth. From olden day’s trees is being part of human life by providing valuable resources like we get vegetables, fruits, wood, even medicine from them. They are helpful for preventing soil erosion. Plants are very necessary for good rainfall. Tress is essential to maintain a balance in the ecosystem. Like good and caring friends, they make life easy and comfortable for us. Hence they are indeed our best friends. Governments all over the world have realized the importance of trees. Here in India we have extensive tree plantation programme known as ‘Van Mahotsava’ every year. What not we are taking from plants? From top to bottom they play a vital role in our life. They provide us timber for our house and furniture. We get fuel from wood. They also provide medicinal products such as quinine and eucalyptus oil. Don’t you think we are discussing wrong part, come on friend trees are our best friend, how can we think, and there will be any kind of disadvantage of trees. We should keep a point in a mind that we should not cut the trees, as they are life savers. So it’s our disadvantage that we are not planting a plant. 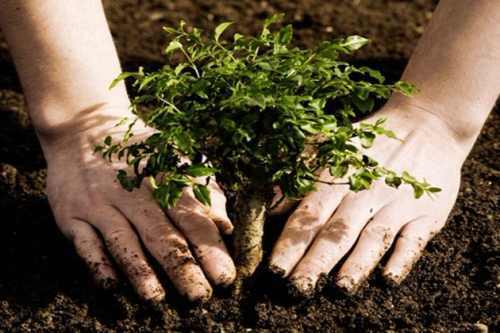 It’s our responsibility to plant a plant, for future. Just because of trees we are getting oxygen. It’s totally on us how we deal with our environment and take further step to save the trees. Initially government has taken one step towards tree plantation now it our turn to become participants of it. Say no to pollution, go green and save trees. Why government has taken an initial step to save the trees. Today population has crossed the limit; we need raw resources to sustain our life style. Human being need lands to build their houses, organization individuals need separate land to build factory, but we are not bothering about the environment. We are the one who is responsible to disturb the ecosystem. All over the world there is an important topic going on that is Global Warming till date. Do our next generation will able to see the cool and greenly environment? So it is on us how much we take this topic seriously.